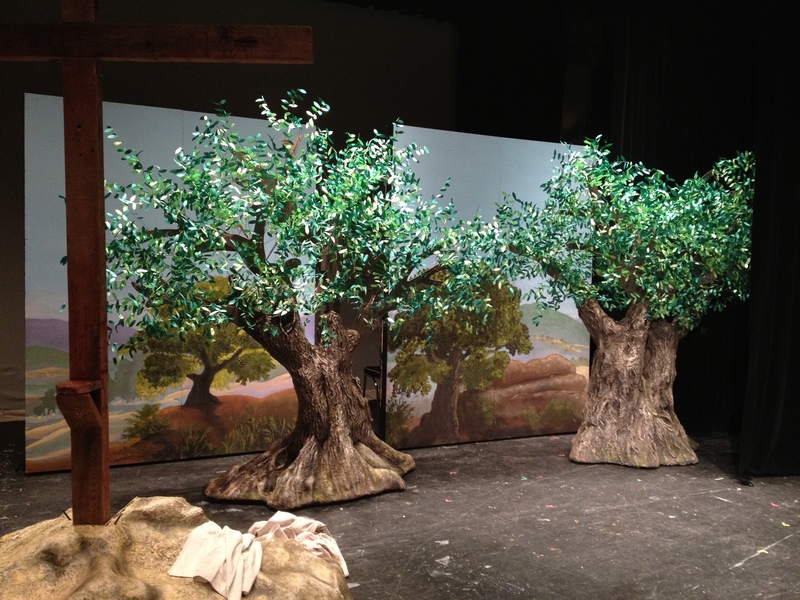 I designed some trees for a play production. I had a lot of help cutting leaves out of paper, and straitening coat hangers. Here are some photos of the work. This is a shot of the stage. It all starts with a drawing.